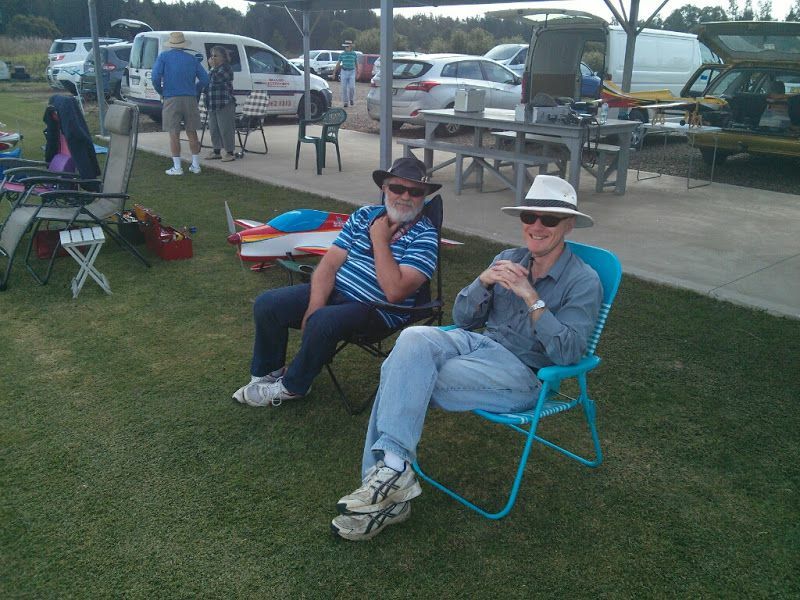 Hexham 216 F3A one day contest. 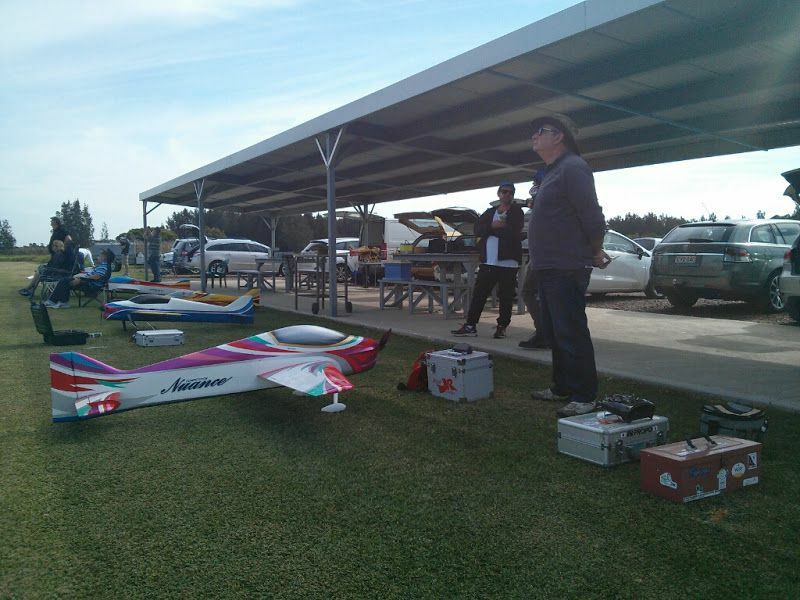 The NSW Pattern Flyers contest calendar had the fifth contest was a two day event at Albury NSW. Unfortunately the club is in the process of obtaining a permanent height clearance to 1000 ft. This has not been granted to date so the committee was looking for another venue for May. 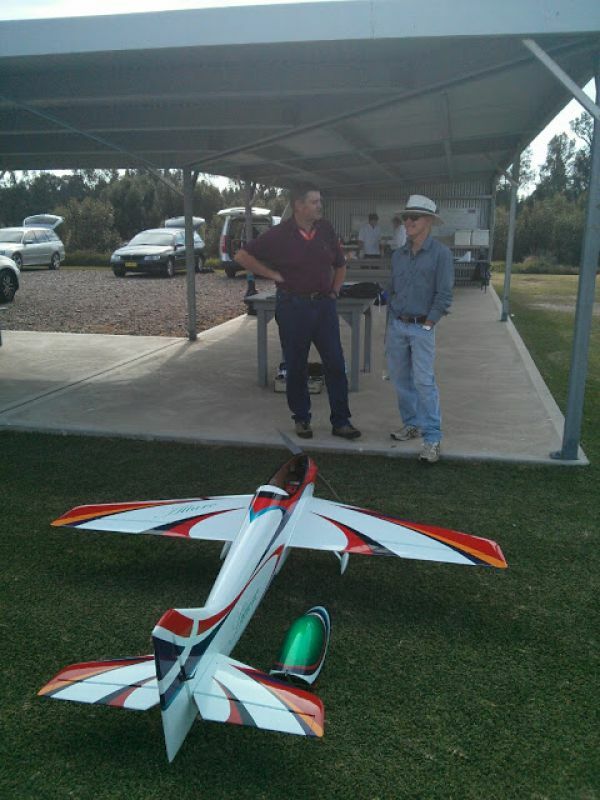 Ray Smith from the Rebel Flying Club at Hexham approached the club committee to hold the contest at their field. With little notice the committee graciously granted a one day event for 21 st May 2016. 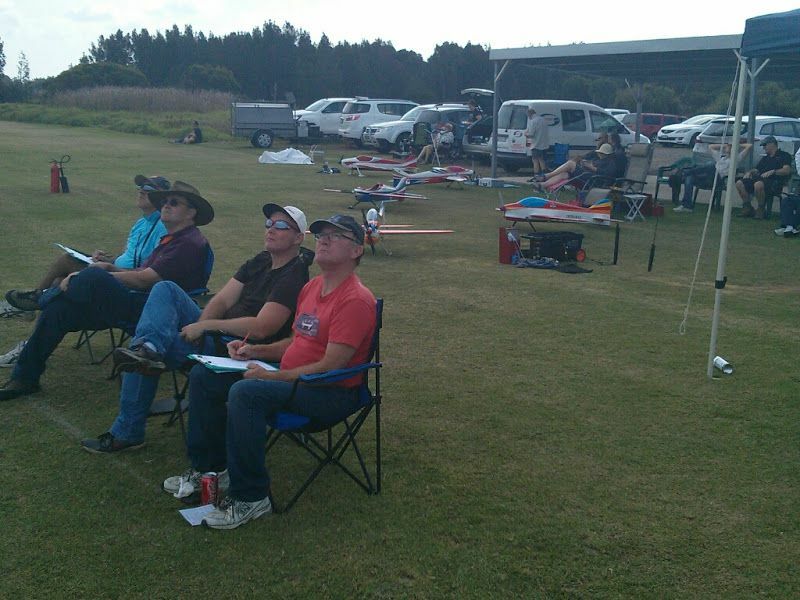 NSW Pattern Flyers had not flown at this field before but I had flown large gliders there in the past. The facilities then were good. 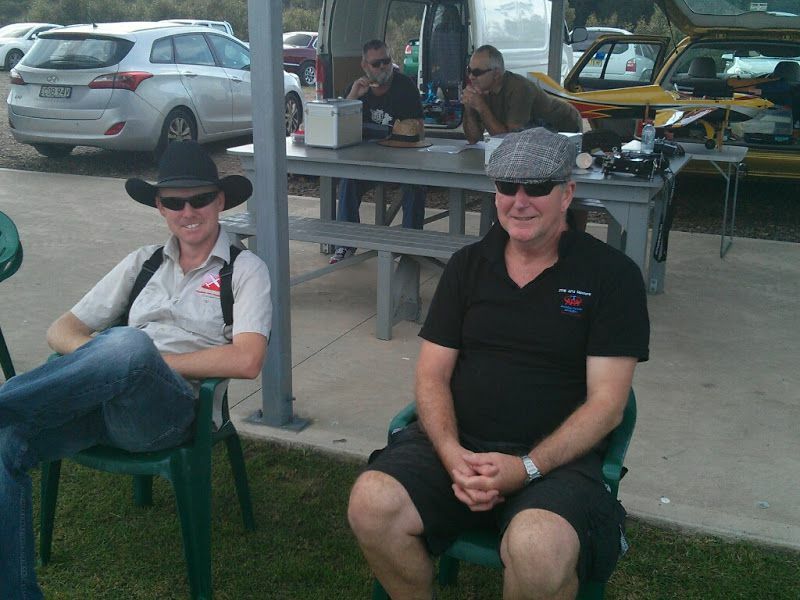 The entry list showed that at least 2 locals had registered in sportsman class, Con Kyriakides and Terry Smith. In addition Rod Bailey travelled from the Balina district after reassuring him we would fly 4 rounds. 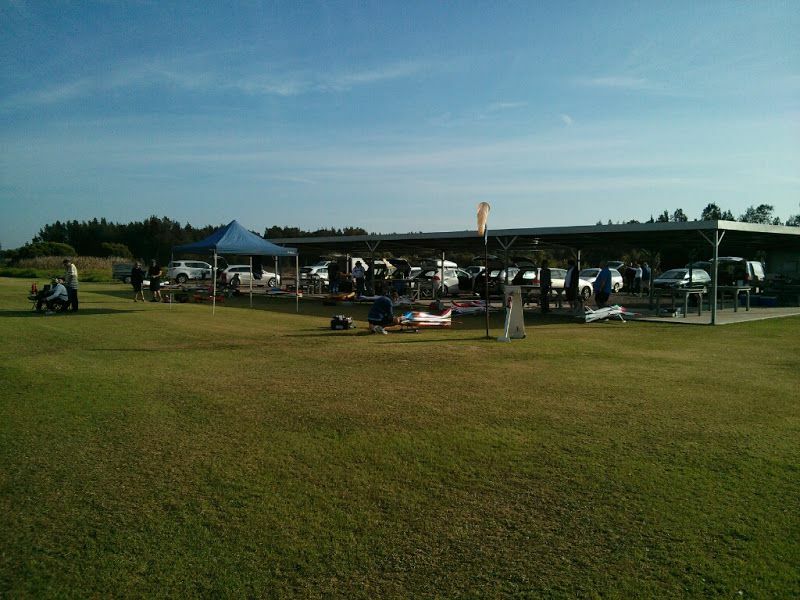 What an effort!Terry decided to have a practice flight before the start (at 0800 hrs). After a few manoeuvres the canopy of his Edge 540 departed and was not sighted again despite several search parties tramping through the swamp reeds. Terry did not fly. Con arrived with an Oxai Galactik complete with YS 175 spark ignition power plant. Yes we can remember the delight of a good 4 stroke engine pumping out lots of sweat smelling exhaust and power to burn. 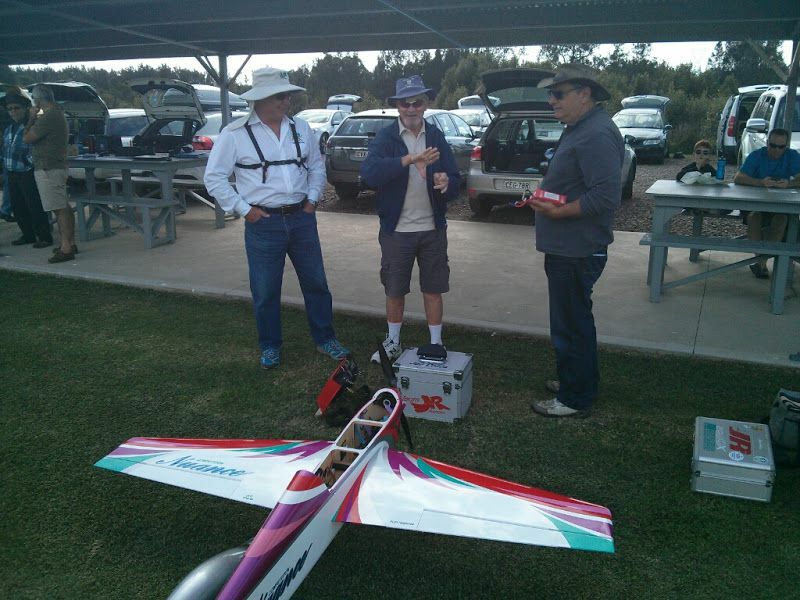 Great stuff Con and well flown to secure first place in his first F3A contest. Promotion eluded him. We were hoping Chris Tindall would give Con a run for his money but the long drive caused too many wing wobbles but managed a credible second place. Alastair Bennetts gave everyone something to take notice of by winning the final round. 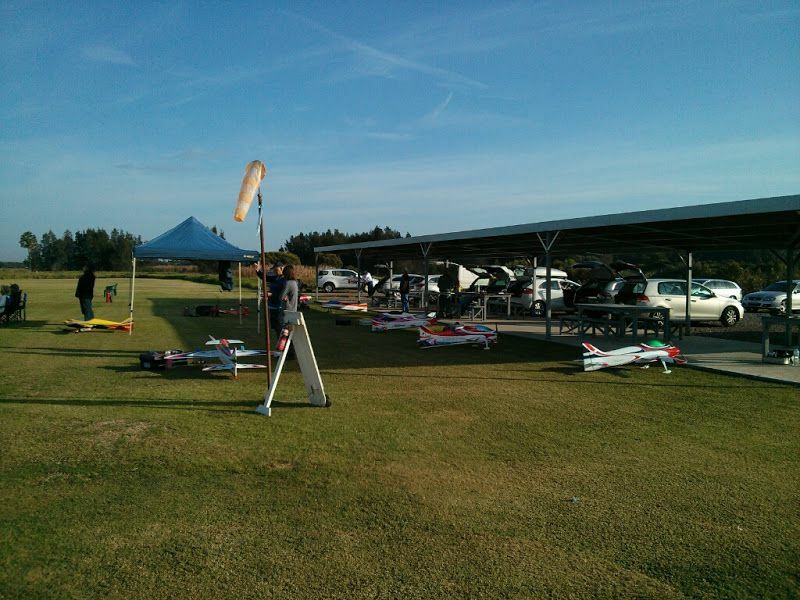 Ray Smith came in fourth with a Sebart wind 50E with which he battled bravely all day. Ray, you should do some trimming flights. Gavin Fitz-Henry was all ready to do battle in advanced class but was thwarted by the fact that the flying site is on a national park island. No dogs allowed. Consequently Gavin missed out but made use of the day by visiting another likely site for F3A contest. (Stay tuned for what might be a great F3A site). 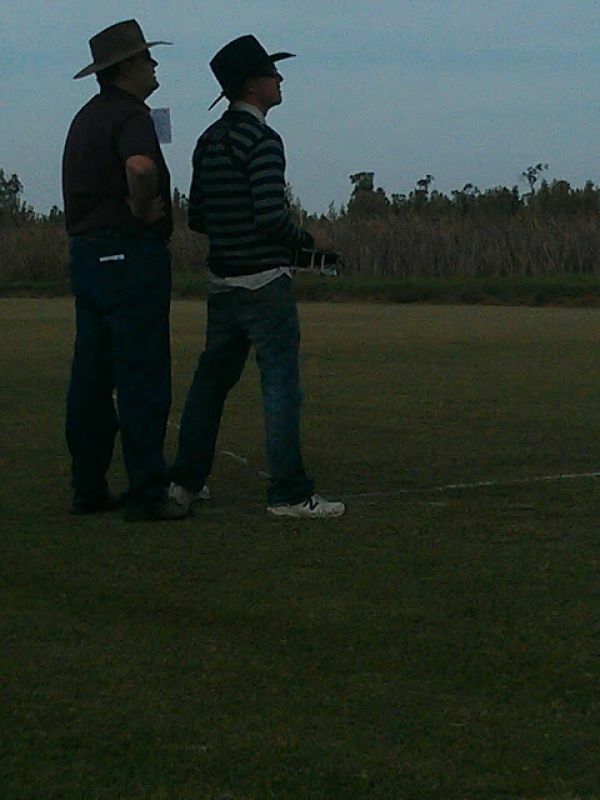 He also managed to get in a few flights at our home turf of Camden Valley where a long lost F3A pilot as found. Yes folks, Tristan Berry is flying again after completing the HSC last year and securing a position at one of the Sydney universities. As most would know, university students have lots of free time for things like “model aeroplane Rod Bailey and his wife Faye travelled all the way from Balina for this contest. What an effort and to boot he managed to win two rounds and beat Phil Tallack by 6 raw points. Although we keep telling Phil to enter a manoeuvre straight and level which he did most of the time but !!!!!. 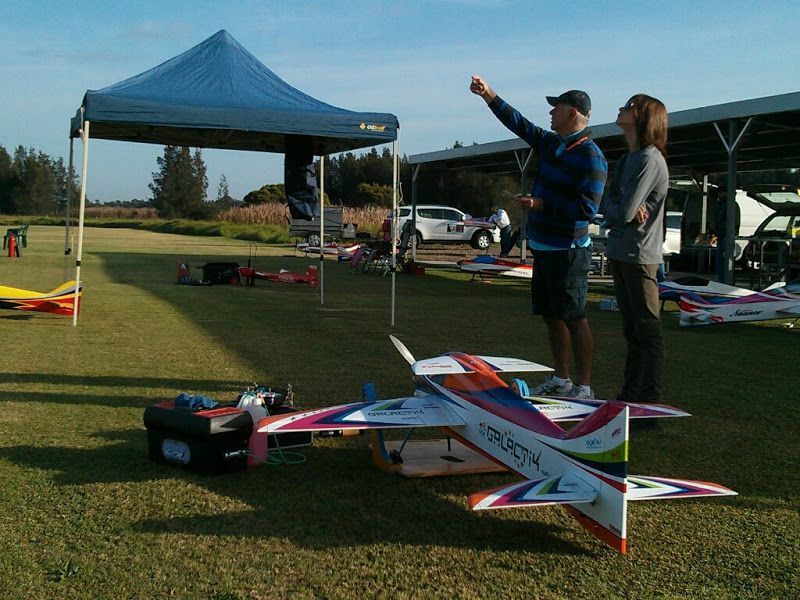 Kahl Eckersley secured a good third place flying a contra drive Epic. A good effort with a new plane. Yours truly tried to keep everyone honest but flew below average. 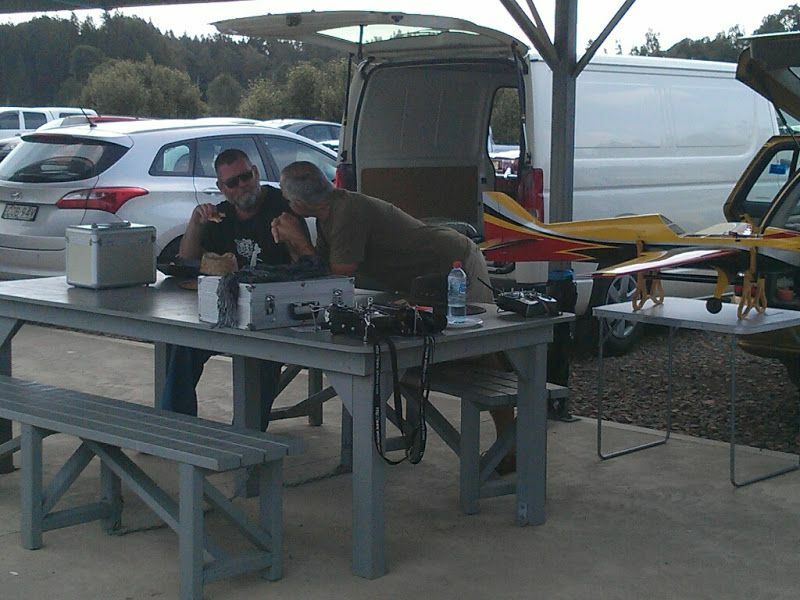 More practice with the transmitter tray is required. There were no promotions awarded in Advanced class at this contest, but Rod Bailey was within 2% of achieving one. The expert class was shaping up to be a really good contest until, much to Tom Collinge’s relief (he was smiling all day), Brian McGowan had to pull out at the last minute. I can tell you that Brian is flying really well (must be the persistence of his coaches). Tom was a bit rusty on the first flight allowing Joe to sneak under his guard by winning the first round by 2 points. 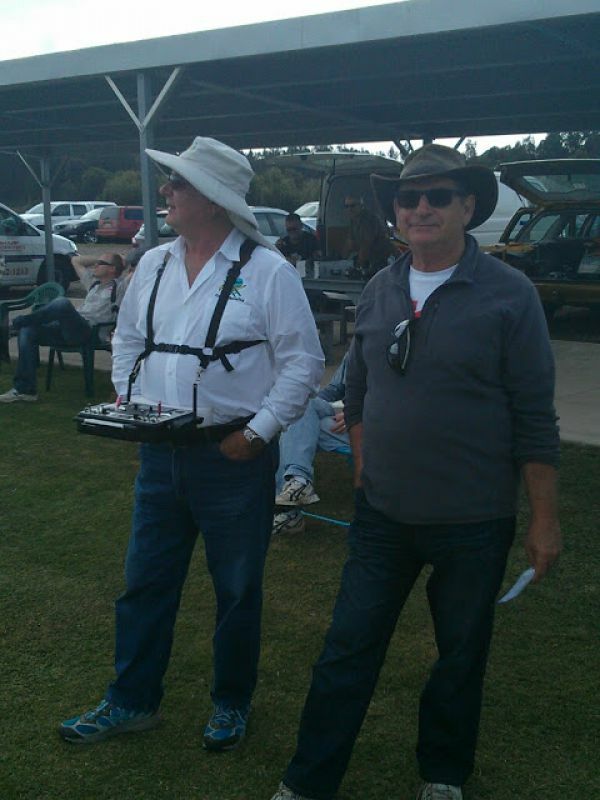 It was great to see Joe Costa with the transmitter harness around his neck doing battle. However Tom picked up his game and won the last 3 rounds. Regarding promotions Tom did achieve a promotion point scoring 384.5 for the best 3 rounds of the contest. We believe this may be the first promotion in Expert since the new schedule was introduced in January this year. Well done and deserved. Joe was not fat behind at 359.83. 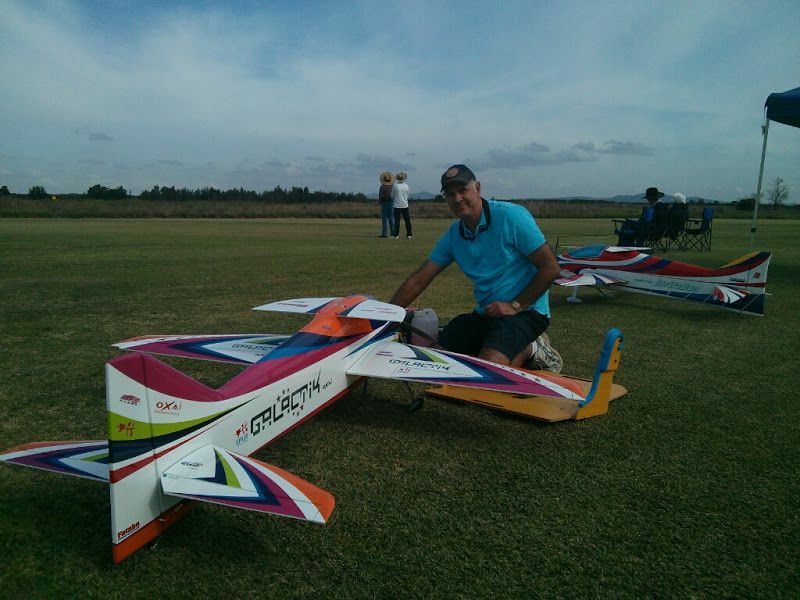 For F3A class, Neil Martin showed up after transferring with work to NSW from South Australia. 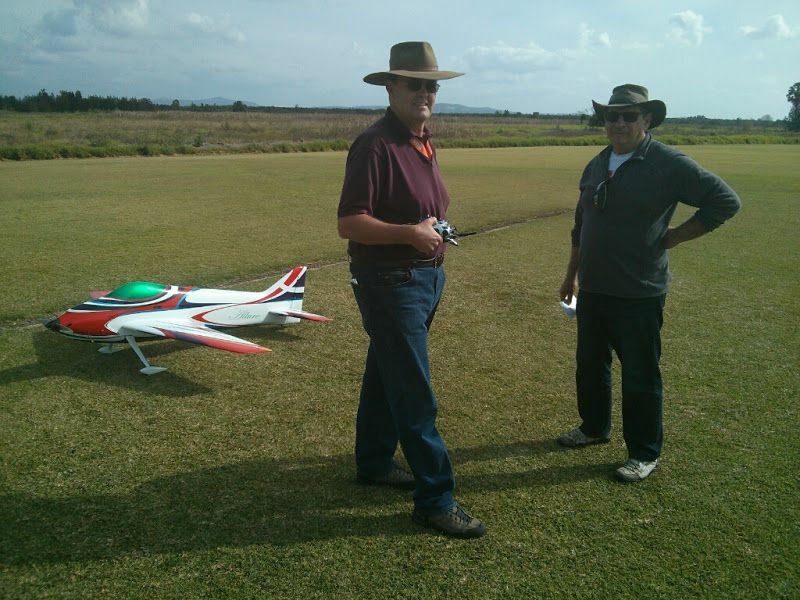 Neil has been a long time supported of F3A particularly in SA but also all over Australia. 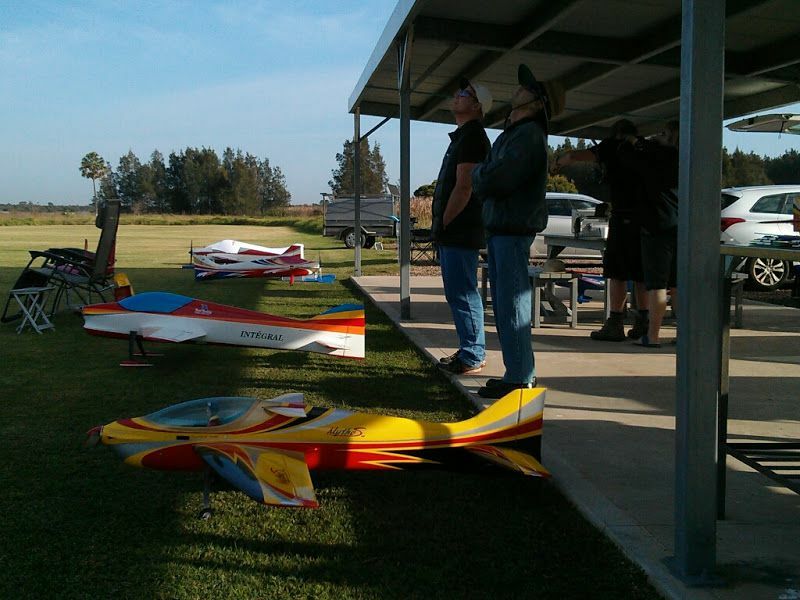 Welcome the NSW Pattern Flyers. 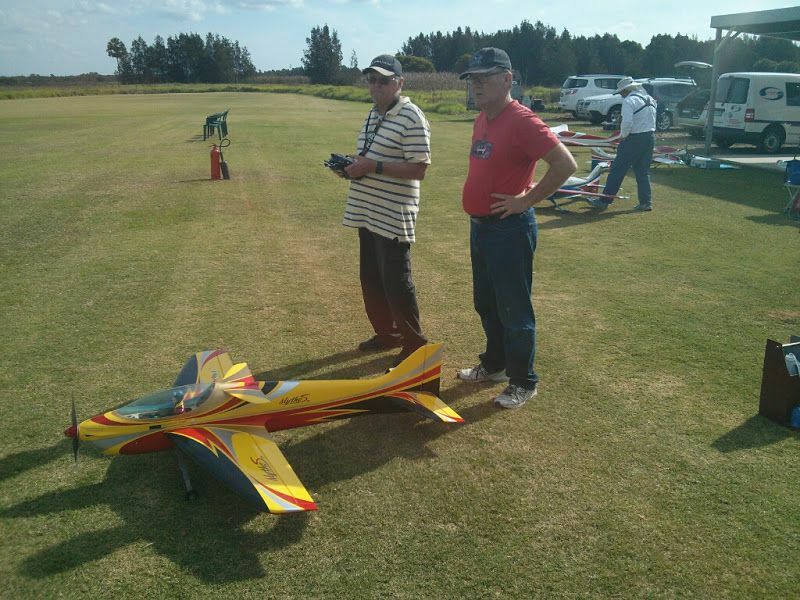 Neil has not flown Pattern for about 2 years but achieved a score above the F3A retainer. 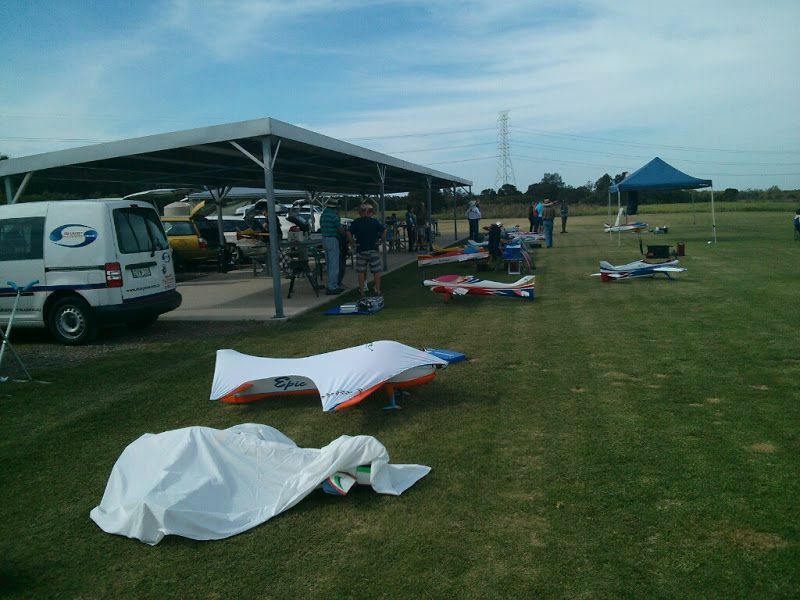 We look forward to seeing more of Neil and giving some of the more established F3A pilots in NSW something to think about. Dean Erby (also missing in action after moving house earlier this year) made a welcome return to F3A competition. Although a little rusty, the best way to re-enter the arena is to fly, and he did that! 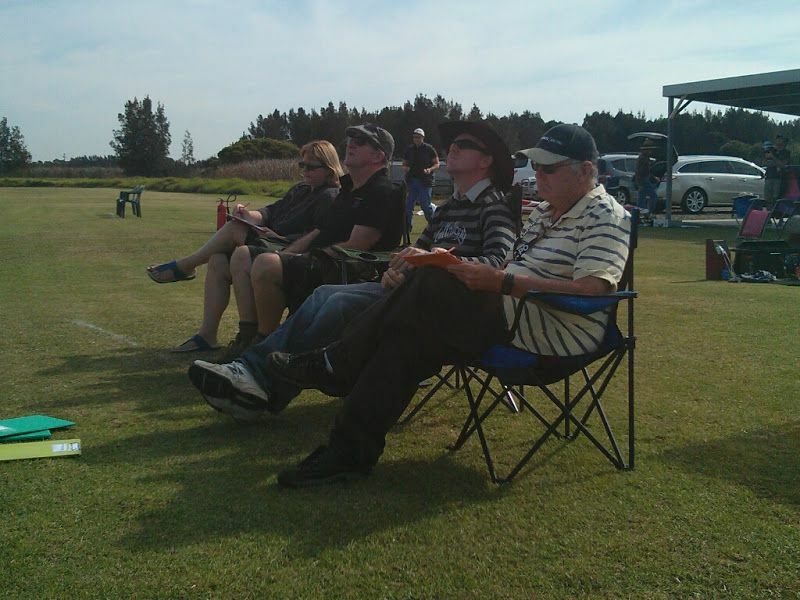 Mr consistency, Brian Dooley flew very well with his immaculately prepared Invitation. Brian also scored an F3A retainer but missed out in a promotion point. Oh the roll in the eye catcher! 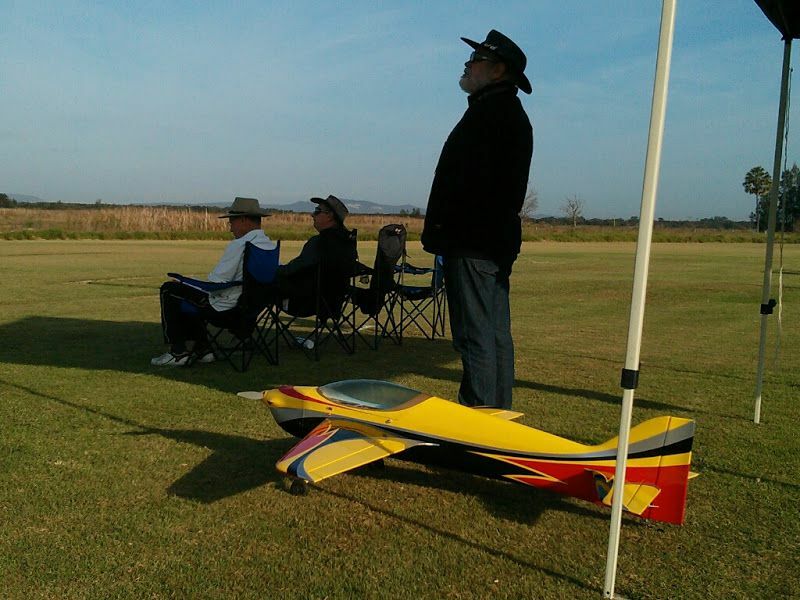 The Rebel Flying Club must be congratulated on accepting the NSW Pattern Flyers request for a contest at short notice. 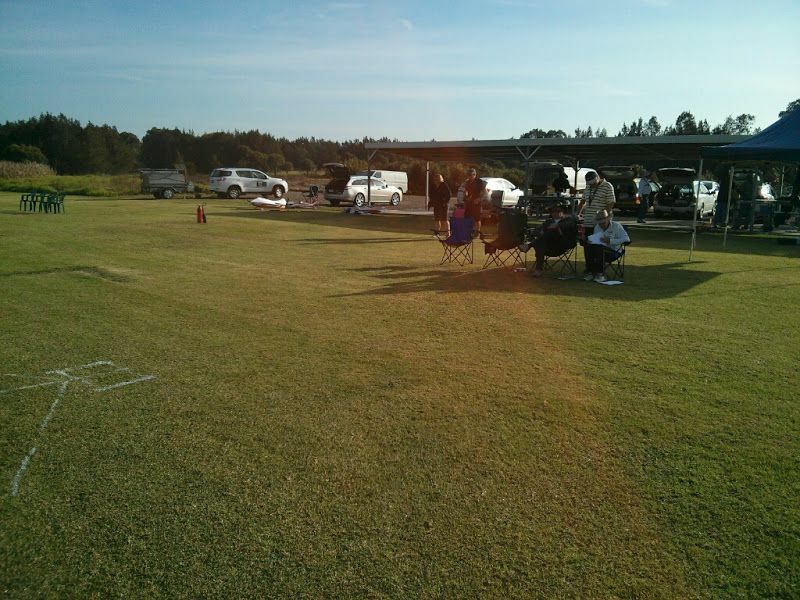 The field was in perfect condition and they catered for all our needs with good food and an invitation to return next year. The contest for May 2017 is already in calendar and maybe we will see young Sam (local teenage club member) ascending the ranks of the F3A community.